Bird netting is one of the most popular, effective and long lasting methods for protecting buildings and other structures from birds. When installed correctly, it can provide a safe and discreet barrier to keep birds out. Bird nets can be installed around buildings, roofs, warehouses, industrial areas, fruit cages and around crops to protect the area from birds. The nets can be used with or without a frame. Our knotless bird netting is made from high density polyethylne, which makes them softer and more flexible than polyethylene nets. They are lightweight, durable, rot proof and UV resistant. 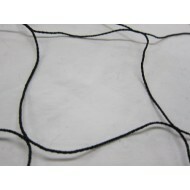 We have a wide range of knotless bird netting in either, black, stone or translucent with varying mesh sizes and weights. 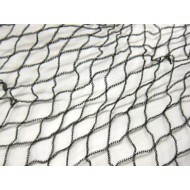 We are also able to provide flame retardant netting if required for an additional charge. With normal use, these nets can last 10 years or more. Please contact us for further information or assistance. Bird netting is one of the most popular, effective and long lasting methods for protecting buildings..